Each piece of good content requires quite a lot of efforts to be created, let alone its promotion. The wish to re-use old content is natural when we are talking about well-written but old articles. If your posts resonated with your auditory, why not to make them work for you again? But these are not the only options available. You can combine several items of this list and make your own educational course! Why do I need an educational course? A content marketer can say: “I don’t need an online course. I prefer rewriting my older posts in a certain time period and it will still attract leads”. Articles created in this way still will be useful for your readers. Posts are a part of your content marketing strategy. This means that articles inspire more trust, and are able to give a response to some of your customers’ complex questions. But there is one non-obvious problem that is often missed while rewriting. The essence of repackaging content is to give it a new value along with a new form. That’s why the format of online course really breathes life into older posts. - Create an educational course on your product. Do you want to show to your customers how to use your product better? Then you should turn to use cases and show your customers some living examples of using your product. - Make a course with useful tips on a certain topic. For example, you have an email marketing service. You have posted at least several articles on creating a great newsletter, and you can use them for your new format. - Show the benefits of your product. 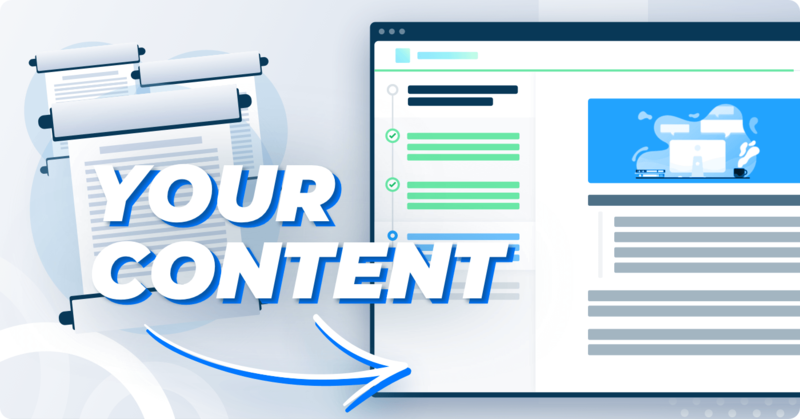 The good choice is to use content on non-standard use of your product, infographics and articles which include a comparison of your product with others. The key point is to determine which content you will not need in your future work. You need to find and record all the required content at this stage. Create a Google Spreadsheet with all URLs of the posts you are going to use. Keep in mind that articles on your website are not the only source for your inspiration. You can look for content on your social media accounts and guest posts. It’s great if you produced original visual components (images, gifs, videos) for your articles. If not, then it’s time to think about it. The next step after selecting posts is course creation. Now, you need to create your future course structure. Typically, using 6 to 12 lessons per course is a good choice. The more complex topic you have, the more lessons it requires. Clear title that draws attention. A nice picture/video at the beginning of your text to stimulate curiosity. Add several subheadings to simplify navigation. Create a list — it’s a good way to organize facts. Remember about conclusions — they improve memorizing of your content. 1. Want to make your course more valuable — in other words, make your learners work hard before they receive a certificate. 2. Find out how carefully have your learners read your content — here, quizzes work as traditional tests. But these are not the only ways you can use quiz feature. You have a unique opportunity to receive an immediate feedback from your learners and get to know them better! Simply choose “written answer” option to turn your quiz into a survey. You can ask them standard questions about your learner’s role or their company size. Or you can learn more about their interaction with your product and ask them questions like “Which options do you use the most frequently?” or “What are the problems you have faced while using our product?”. Written answers come along with no answer score and therefore any answer is correct. This feature allows you to improve your lead generation and rise it to the brand new level. Why not to add a nice reward at the end of your course? After your learners finish their education, they will be glad to receive a pretty certificate or a promo code. It raises learner’s motivation and increases the value of your course. 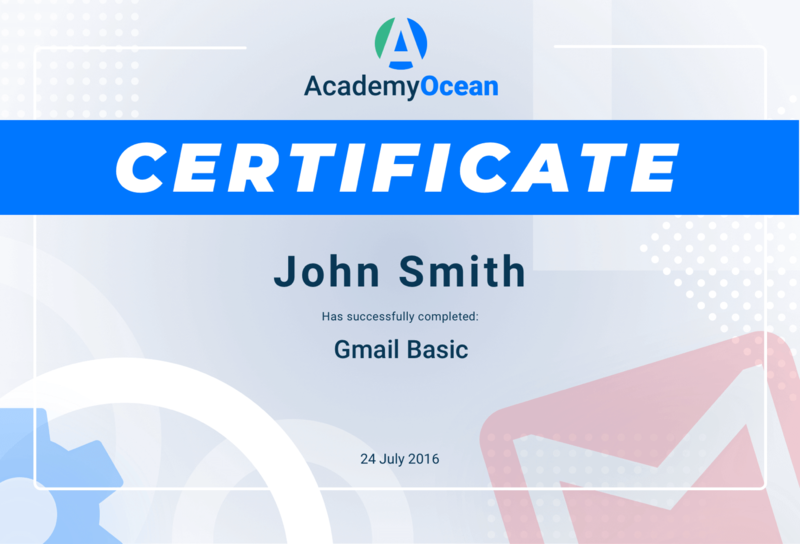 For example, we reward our learners with certificates in our open course in Gmail Academy. Repackaging your old content is a process that takes time and efforts. But after you give it a new form and new life, it will totally pay off. An online course is a great chance to offer your learners a fresh look at your product and attract more leads.